It’s a new year, it’s time to reflect on the year’s past; right? This year the holidays snuck up on me. Being too consumed with trying to find work, housing, transportation to my new job, and handling visa papers, I haven’t had much room to reflect on the things we’re meant to reflect on. The consequence of being a lone traveler relocating to a new town means being alone, and busy. I’ve been telling myself that it’s just any other day really, why hold so much importance to yet another day? As true as this might be, I can’t help but feel a little in denial. Even with all of life’s great distractions, it’s hard to not realize the lack of really close friends in proximity to me this season. I had a moment of melancholy on Christmas eve, but after going on a walk and having a moment to think, I realized that I was exactly where I wanted to be. All of my actions in the past year have lead up to this moment and I was missing it in self pity for what I didn’t have. There’s great satisfaction in realizing I was living a scenario I had only dreamed of years ago. I realized then, that there will always be something a bit lacking in life. It’s up to us to look at what benefits us. I also remembered that though I might physically be alone; my friends and family, far away, would be thinking of me as I thought of them. The cheesy cliches win out again in the circular pattern of my thinking. Love, positivity, and rainbows are realities sometimes; and I have become afraid of these bright omens, for they are uncool. And now, on the eve of the new year, I’m sitting on my new back porch under a gum tree, watching the neighbor’s escaped rabbit run between bushes. I tried catching him this morning, but right now I’m content in knowing he’s having the time of his life right now. 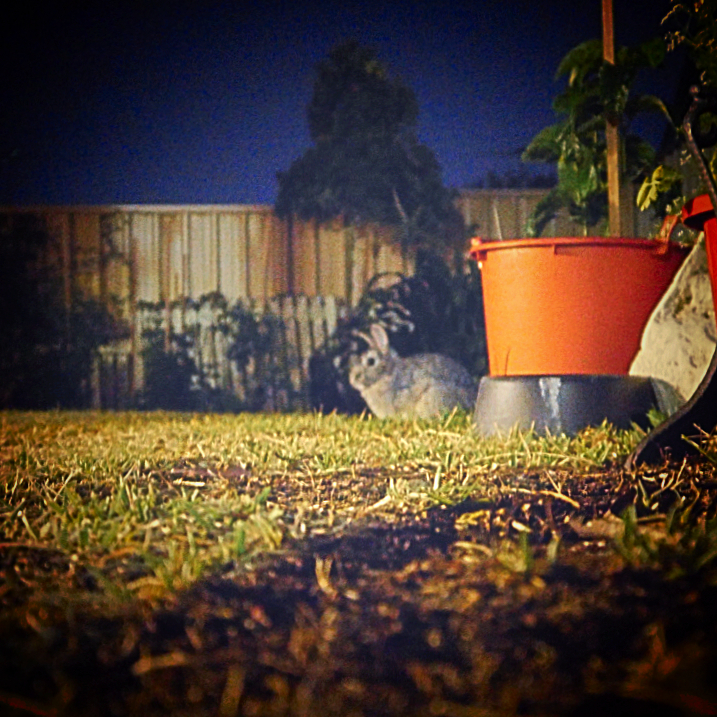 The rabbit and I are like kindred spirits- free to go where we please, if only for a now. Well, I’m off to go party. Happy new year! ← Traveling Was the Goal; Where’s the Goal in Travel?